When you think “tin can projects”, you probably think kindergarten crafts, right? Nope. You can up-cycle your kitchen tin cans into classy DIY tin can decor projects with just a little bit of imagination and a few craft supplies. 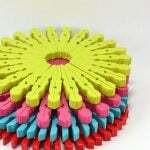 Not only is up-cycling good for our earth, it makes those projects inexpensive and creative. I know what you’re thinking though, tin cans? Isn’t that kinda… well, cheap? Yep, but in a good way. 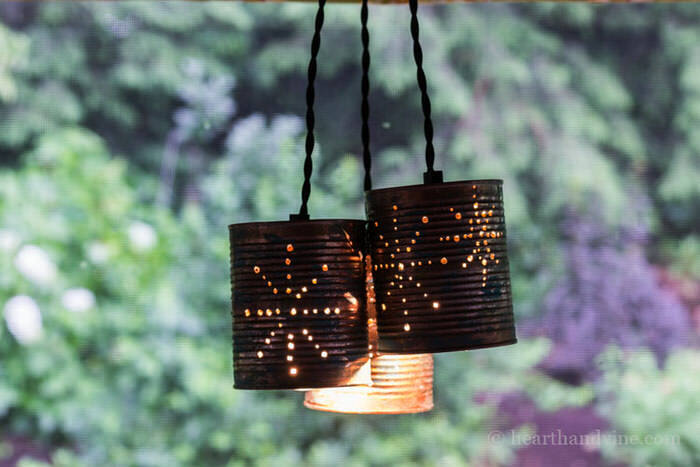 Every one of these DIY tin can decor projects I would have in my home! So make sure you have some canned corn, canned beans, or canned coffee on the menu this week, and save up those recyclables! We have some DIY to do! 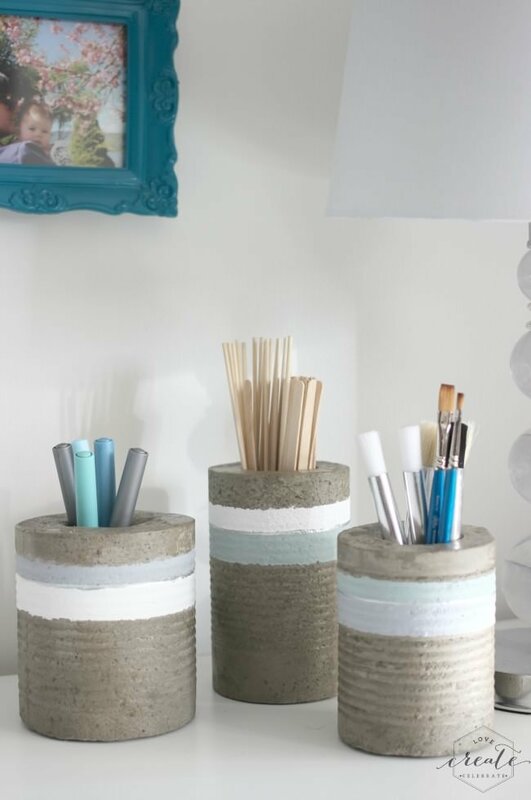 These DIY concrete vases were made using tin cans as the molds. From ‘Love, Create, Celebrate’, check out her tip on how to get the molds to release after the concrete sets! 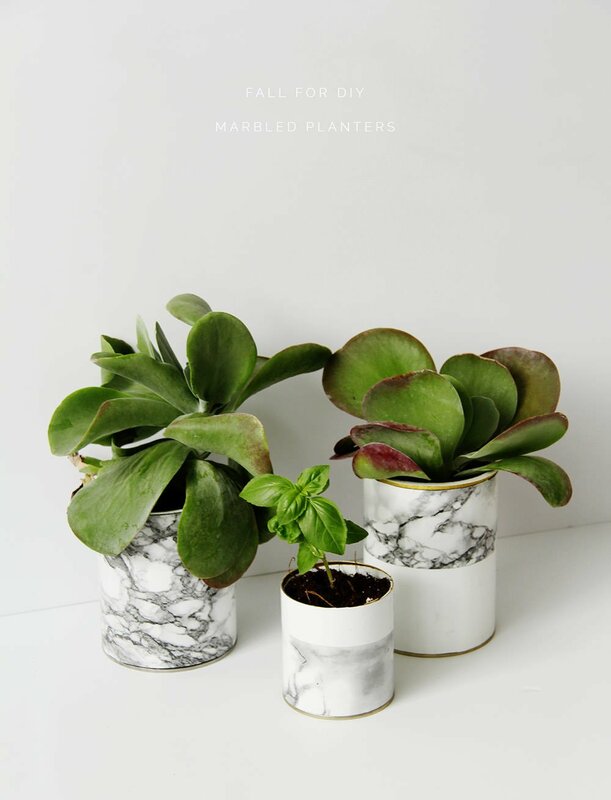 From ‘Fall for DIY’, these DIY marble planters are simply the prettiest tin cans I ever saw. 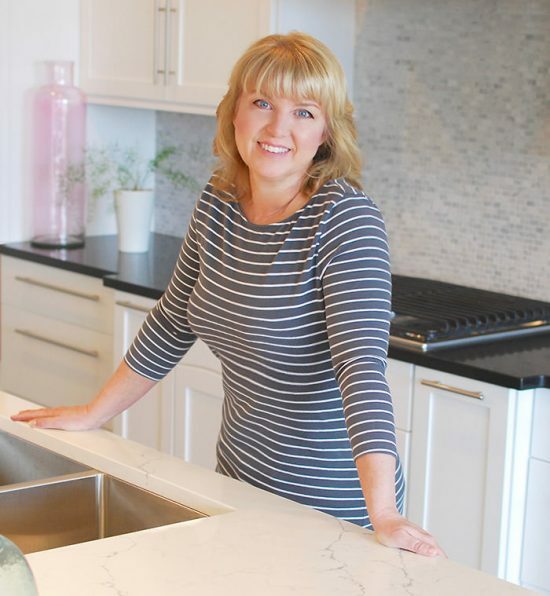 How does she get that amazing marble look? Go check out her post and find out! Easy! 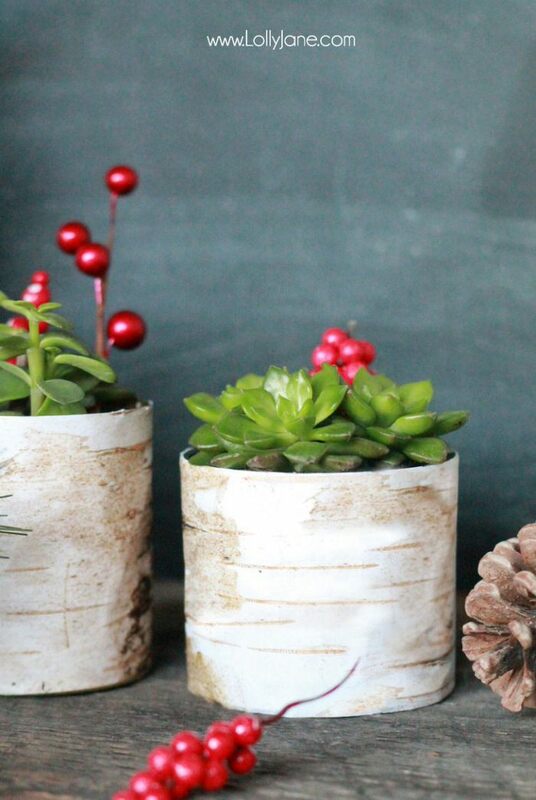 ‘The Crafted Sparrow’ has a great tutorial for these painted tin can planters that I love… How great are these? These are made from gallon size cans. If you don’t have access to some Costco size tomato sauce cans, you can pick up empty gallon paint cans at Home Depot for just a few dollars. 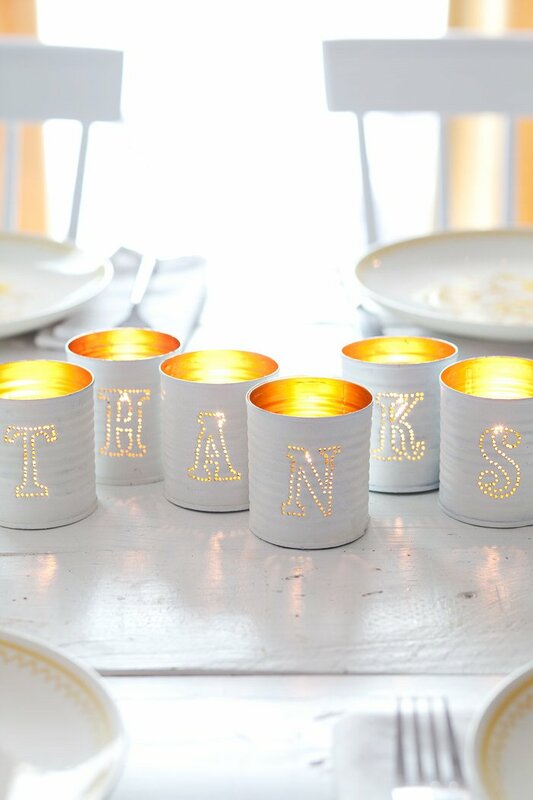 These tin can punched votive candles from ‘A Beautiful Mess‘ are so pretty and elegant! Remember, you could punch any letters you want into the cans. They even tell you how to find the “punch” pattern fro the words you want. Love the gold interior! 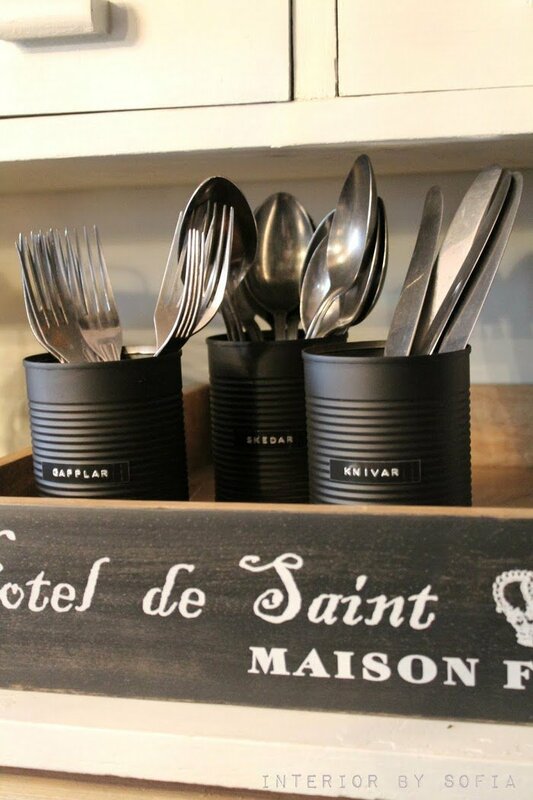 From ‘Interior by Sofia‘, these DIY tin can silverware caddies are made trendy and chic with matte black paint and a vintage wooden tray. What is more simple? 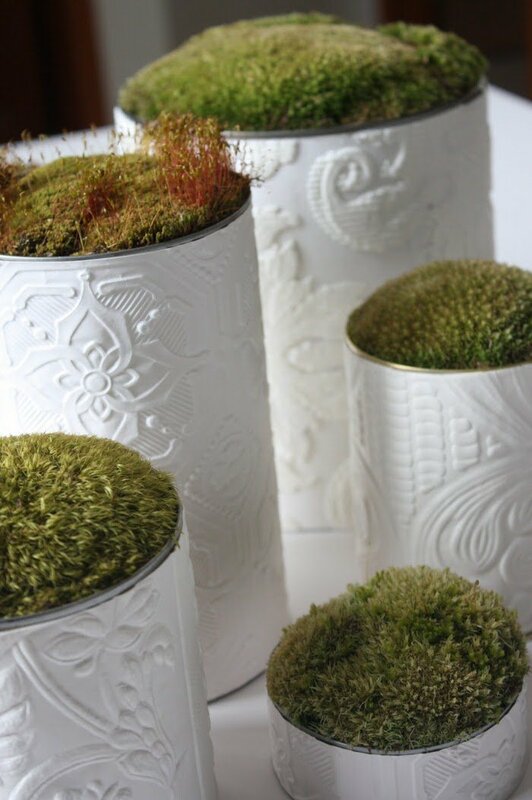 From ‘Home Vestures’ this DIY moss centerpiece was made by covering cans in a textured wallpaper. This looks vintage and mod at the same time! 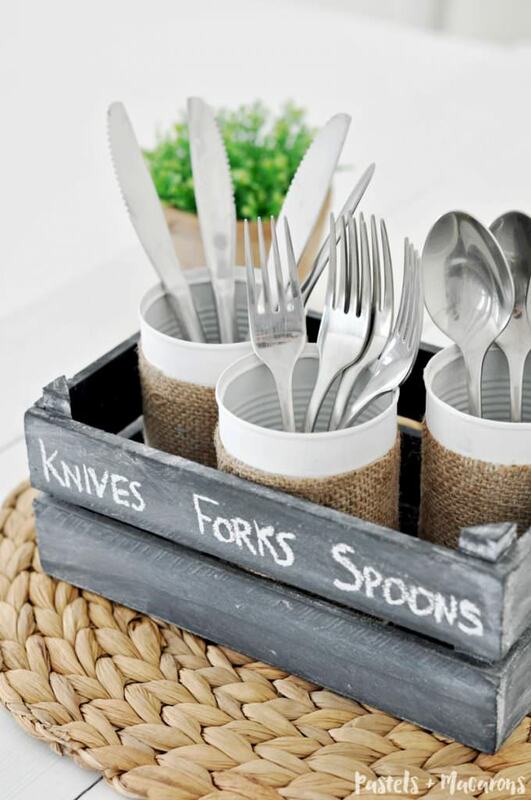 This DIY tin can silverware caddy is a 10 minute project from ‘Pastels and Macarons‘. 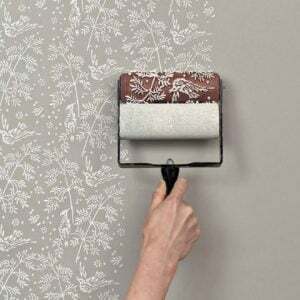 The chalkboard paint is genius! 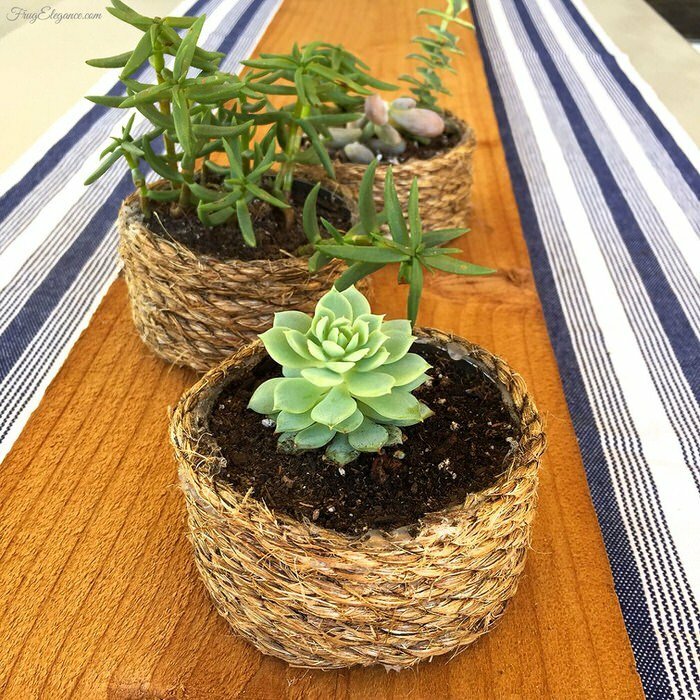 Try these twisted rope wrapped cans from ‘Frugelegance’ for a cute coastal look. I like how they used tuna cans to give some of the planters a shorter look. 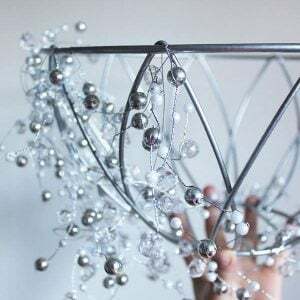 From ‘Hearth and Vine, these tin can pendant lights come with a complete tutorial, including how to wire with a lighting kit. This would be an awesome accent on a back patio! 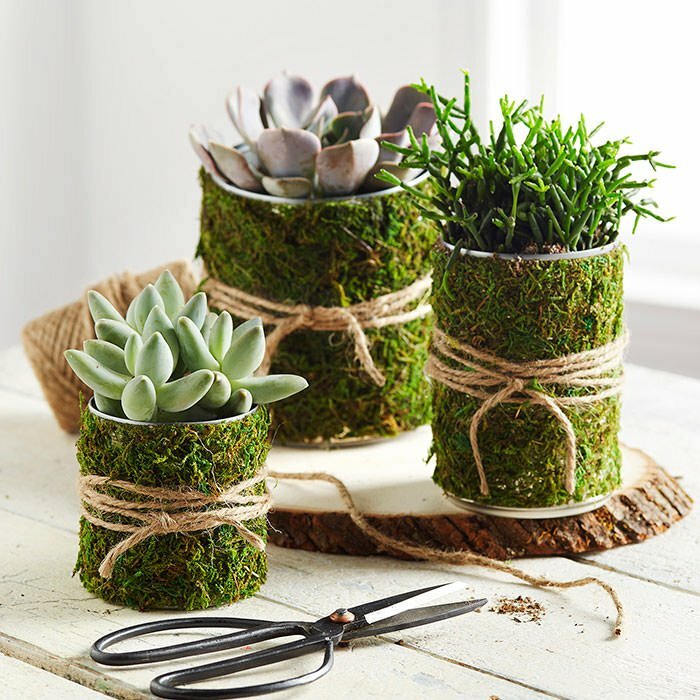 From ‘Michaels‘, plant succulents in tin cans, then wrap with sheet moss and tie with some jute or sisal twine for an organic look. Super fast, no skills required. 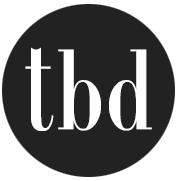 Have a romantic side? 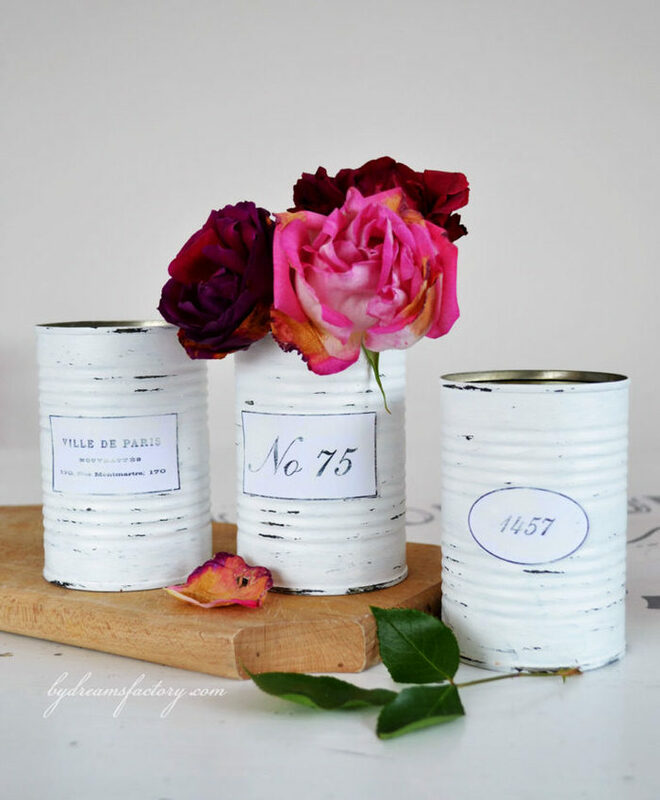 Then you will love these DIY shabby French recycled tin cans from ‘By Dreams Factory’, These are made with just some paint and some labels… So pretty! ‘Lolly Jane’ hooks us up with these DIY birch bark vases made from tin cans and scrapbook paper! 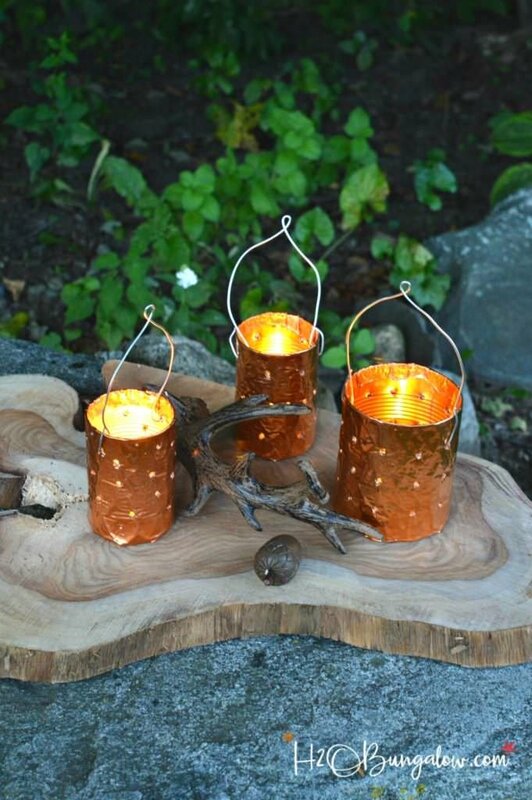 Finally, from ‘H20 Bungalow’ are these DIY copper tin can candle holders. 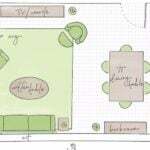 Another easy project using an unexpected material… copper sheeting! Colors like copper and gold really make the flame of a candle come alive! If you loved these DIY tin can decor projects, then we have a feeling we know a couple more you would enjoy! 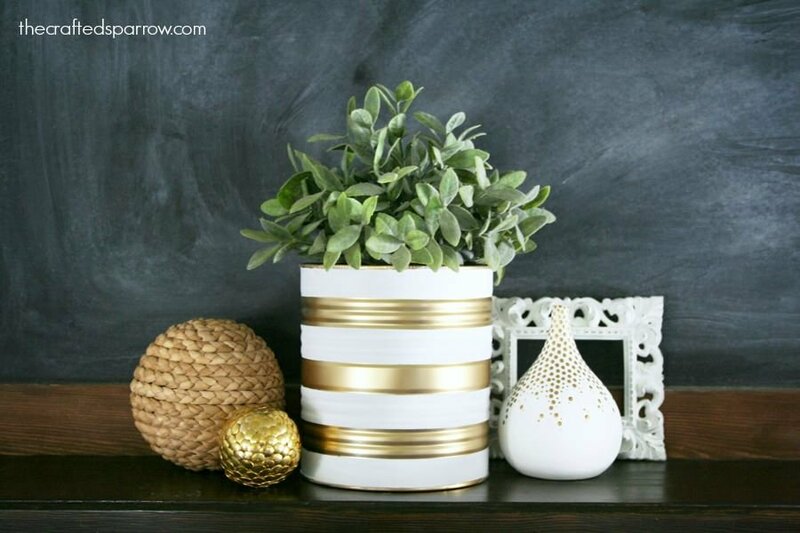 Try glamorous gold DIY decor projects or classy dollar store decor.